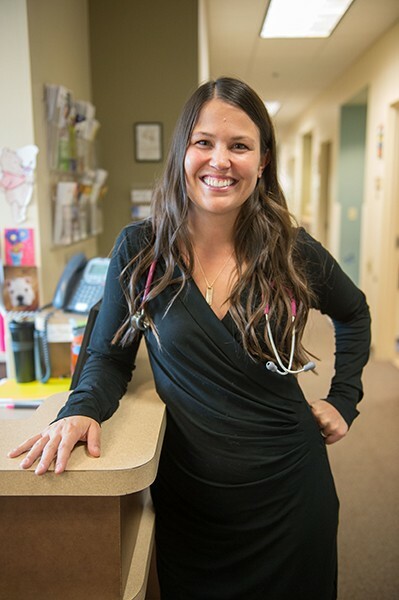 For Jennifer Warton, who goes by JB, pediatrics is a family business in more than just the obvious manner: Her father was a family doctor, and greatly influenced her. "I used to do rounds with him at the hospital on weekends," she explains. "From a young age, I watched him caring for patients and I always knew that I wanted to be a doctor." A graduate from Bend High, she went on to Seattle Pacific University and then attended Midwestern University in Chicago before returning to the Pacific Northwest to complete her pediatric residency at the esteemed Oregon Health Science University. She has two young sons herself, and understands the trepidation selecting a physician to care for your own children. "I think one of the most important factors in choosing a pediatrician for your kids are, do you like the pediatrician and do you trust them?," says Warton. "I believe that the rest of the details will fall into place if those first two statements are true. I always tell parents that I will be taking care of their kid for 18 years potentially, that it is a journey, and that we must partner together. You cannot do that without trust." She goes on, "It sounds simple, but I truly love caring for kids. I laugh every day." And, she adds, "I don't mind the vomit so much."